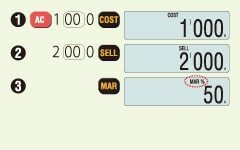 With this water- and dust-resistant calculator, there’s no need to worry about exposure to water, dust, or grime. 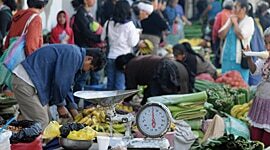 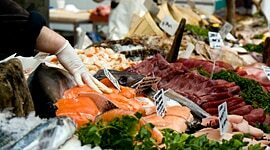 It is recommended for use even at open-air markets, street stalls, and other outdoor businesses and at shops that sell fresh food. 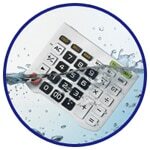 Since the keypad can be detached and washed with water, the calculator can be kept clean, sanitary, and pleasant to use for many years. 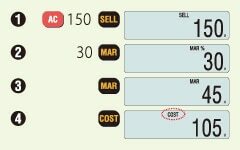 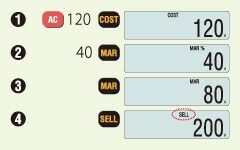 Easy calculation of cost, selling price and margin.